Stuart Law has been appointed Sri Lanka's assistant coach and will assist Trevor Bayliss, the head coach, during the team's tour of India in November. Somachanda de Silva, the president of Sri Lanka Cricket's interim committee, told Cricinfo that the decision to appoint Law, the former Australia batsman, in place of Paul Farbrace - who has joined Kent as head coach - was taken at a meeting today. de Silva revealed that Venkatesh Prasad, the former India bowling coach released from that post last week, was also a contender for the post and had submitted "a strong application" but the SLC decided in favour of Law as he suited their requirements better. "We felt that Law, who has a good knowledge of cricket and conditions around the world, was more suited for the job," de Silva told Cricinfo. "But I must admit that Prasad was a strong contender too. Moving ahead, we would like Law to be there till the 2011 World Cup but we are yet to formalise a contract. First we will have him assist Bayliss on the India tour, take a call, and move forward from there." Sri Lanka, under Kumar Sangakkara, are scheduled to visit India next month for a full-fledged series comprising three Tests, five ODIs and two Twenty20s. Law played one Test, against Sri Lanka in Perth in 1995, and was a regular in the one-day side for much of the 1990s. He last represented Australia in 1999 and has since acquired British citizenship. Born in Brisbane, he played for Queensland from 1988 to 2004 and captained them to a series of successes. He remains the most successful captain in Australian domestic cricket, captaining Queensland to four Pura Cup titles and two one-day trophies - and is Queensland's second leading run-scorer in first-class cricket. 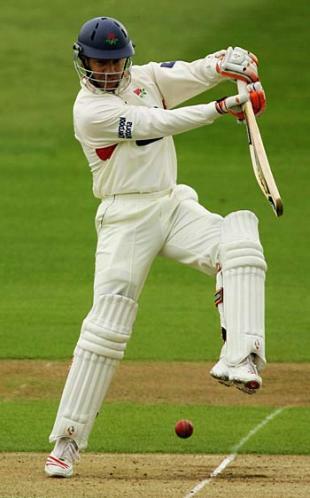 He joined Lancashire from Essex in 2002 as the club's overseas player. In 2003, he was named Lancashire Player of the Year, and in 2008 took over the captaincy after Mark Chilton stood down to focus on his own game. During his time with Lancashire, he scored almost 12,000 runs in all competitions. He was Lancashire captain until he was released from the county for his ICL links last year.